I hope you are having a good weekend so far! 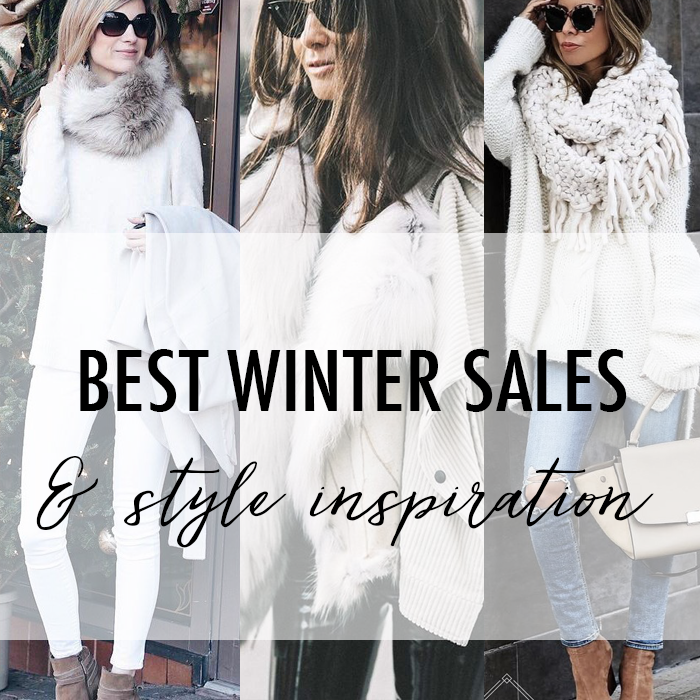 There are some great winter sales. I am trying to decide if I should buy a new pair of my favorite jeans. I have worn the ones I got last spring so much they are starting to show a little wear - you know how dark wash jeans lighten up. Since I am lucky enough to be able to wear jeans to work, I like them to look "new" - and be a dark wash so they are more professional looking. Also, I have been looking for a pair of black ankle booties. I found these that are marked down 40% off, but I really like these. This fuzzy cardigan is 40% off. This cowl neck tunic is on sale for $23. These leopard loafers are 30% off. This velvet wrap blouse is only $15. This velvet dress is stunning and on sale. This plaid scarf that looks like the Burberry one. This leopard blouse is 30% off. This dress is 50% off and would look good with tights and booties. These tall suede boots with a block heel are 45% off. These burgundy jeans are an extra 70% off. This fun polka dot blouse is 50% off. This everyday comfy sweater is $12. These cute ankle booties are on sale for $32 (originally $120). This pink suede moto jacket (also in black) is $33. These velvet jeans are an extra 70% off. Those ankle booties are so cute and a great savings!